WHO: MARYLAND VOLUNTEER ATTORNEYS. 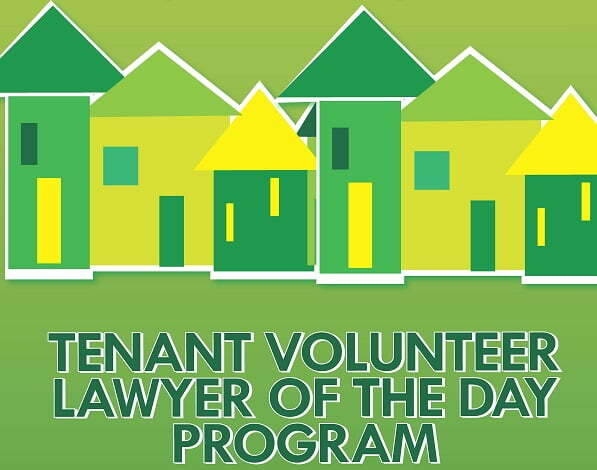 Interested attorneys not barred in Maryland must become specially authorized to practice pro bono in the Tenant Volunteer Lawyer of the Day (TVLD) Program (contact Annie Speedie at aspeedie@probonomd.org for more information). This project is SUITABLE FOR NEWLY ADMITTED attorneys and those seeking civil litigation practice. WHAT: Volunteer attorneys will counsel tenants summoned to court that day on topics including court procedures, available defenses, the eviction timeline, rent escrow, and rent abatement. After brief one-on-one consultations, volunteer attorneys will appear with tenants at their hearings. As appropriate, volunteer attorneys may assist tenants in negotiations with their landlords or their representatives. They may also provide follow up advice regarding rent escrow and requesting a housing inspection. Volunteer attorneys will only provide limited scope, day-of-court services; they will not provide continuing legal representation. FREE training, malpractice insurance coverage, mentoring, and support are provided to all Project volunteers. The Project will operate on the morning dockets Tuesday through Friday. Interested in volunteering? Contact Dean Fleyzor, Esq., TVLD Program Manager at dfleyzor@probonomd.org OR 443-274-5200. District Court for Baltimore City – Fayette St.